As the looming political race only darkens, it’s nice to know Donald Trump doesn’t leave everything he touches a pile of ash. 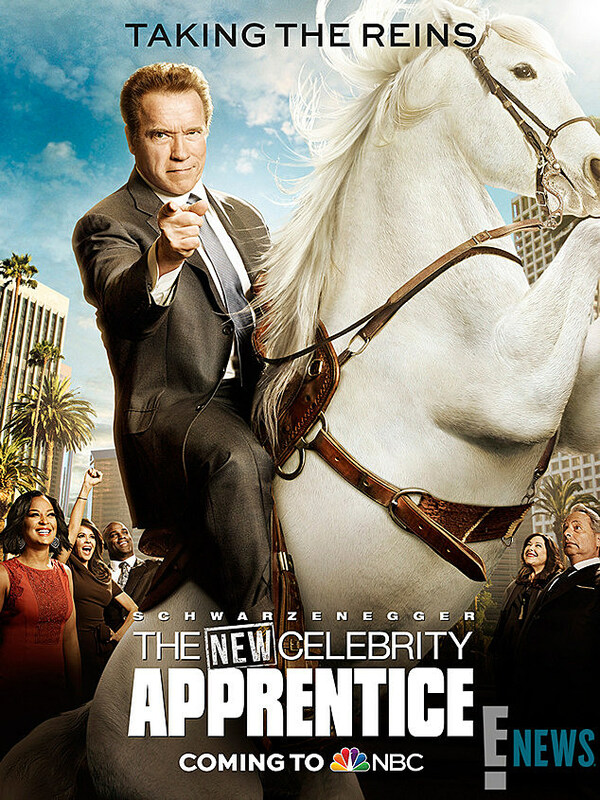 So benefits Arnold Schwarzenegger in the first poster for the action hero’s takeover of NBC’s Celebrity Apprentice, looking as magnificent as ever. Amid impending previews of its fall 2016 lineup, NBC released the first official Celebrity Apprentice poster for Season 15 (Via E!). Sure, Arnold probably never really rode the horse, but the world is better with a bit of fantasy, no? Like, say … to imagine that Jon Lovitz’s expression owes to an impending crush at the beast’s hooves. In addition to guests like Tyra Banks and Jessica Alba, the new Celebrity Apprentice will feature former Microsoft CEO Steve Ballmer, Jessica Alba, entertainment attorney Patrick Knapp Schwarzenegger and business magnate Warren Buffett. The competing cast will include SNL alum Jon Lovitz, Laila Ali, Brooke Burke-Charvet, Boy George, American Ninja Warrior host Matt Iseman, VH1 alum Carrie Keagan, Queer Eye for the Straight Guy vet Carson Kressley, ex-WNBA player Lisa Leslie, Mötley Crüe singer Vince Neil, Nicole “Snooki” Polizzi, Real Housewives stars Kyle Richards and Porsha Williams, mixed martial artist Chael Sonnen, former NFL running backs Ricky Williams and Eric Dickerson, as well as Wilson Phillips singer Carnie Wilson. The new Celebrity Apprentice will also move from Trump’s New York boardroom to Silicon Beach, California, in order to shift focus to technology and innovation. While we wait for further details, stay tuned for the latest on a new Celebrity Apprentice with Arnold.